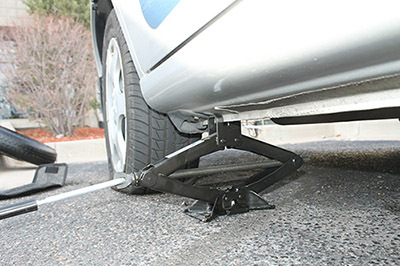 There are many reasons why you would need roadside assistance. Trust in our team of towing professionals to get you the help you need. Our company is built on relationships and we make strong ones in those that we work with. We can be there 24 hours a day, 7 days a week to ensure that you get the help that you need or want. With their help, you can feel more confident being able to call someone that can be there, no matter the time or day. Our roadside assistance is affordable to everyone. We want to provide the best services but in order to do so, they have to be affordable services. We strive to ensure that we can offer the most affordable services at all times. We also accept a wide range of payment options so that everyone is able to pay confidently with the payment preference of their choosing. We can take checks, cash, credit and debit cards and can even work with your insurance company to get the payment that might be covered under the insurance policy that you currently hold. Speak with us today to learn more about payment and prices. Our roadside assistance team provides dependability you can count on. From start to finish, we have your back and want to provide you with the care that you need. We are there when you need us, so that you are not stranded. Allow us to come out and take a look at the problem you’re having, so you can get back on your way to your destination. This is a great thing to have, since you don’t want to sit on the side of the road wondering who you’re going to call to come out and get you. The answer is simple – allow us to be there! With many roadside assistance services, we can help everyone that might be stuck… just ask us how! Whether you’re stuck on the road for one reason or another, you need to trust in a company that is able to provide you with the roadside assistance you can count on. Our professionals are trained and knowledgeable on everything that might need to be done. We have been in business for years and understand that our customers should always come first. We provide the best in customer satisfaction, so that you can feel much more confident being able to call on us to come out and provide the roadside assistance you’re in need of. Contact us today and have us help, 24 hours a day, 7 days a week – we are here!